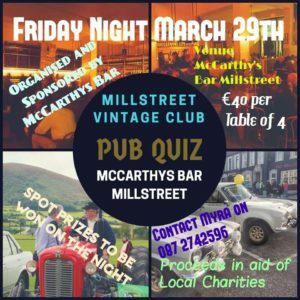 UPCOMING MILLSTREET VINTAGE CLUB EVENTS HAPPENING OVER THE NEXT COUPLE OF MONTHS. 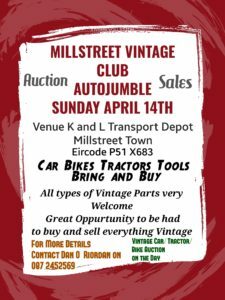 Sunday April 14th : Millstreet Vintage Club Autojumble in Millstreet Town based out of K and L Yard, For Details Contact Dan O`Riordan on 087 2452569. 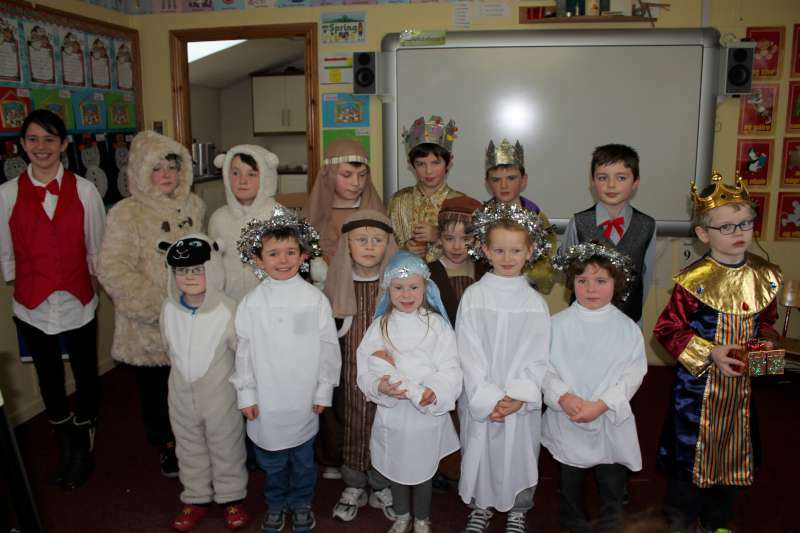 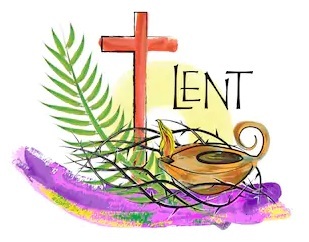 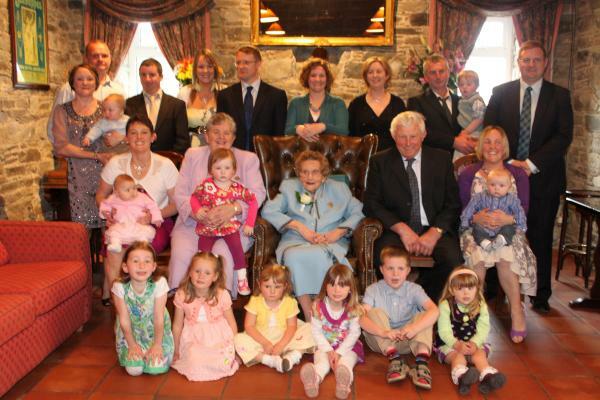 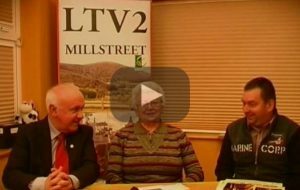 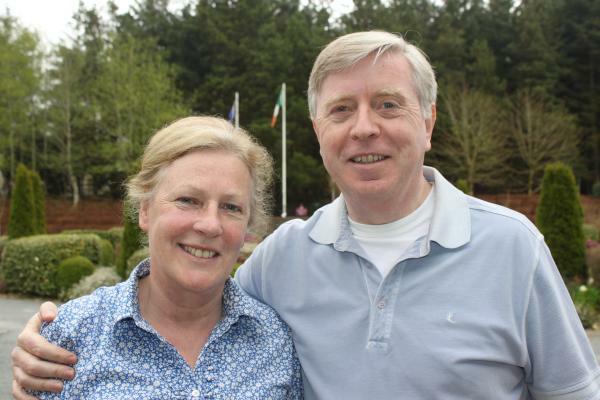 Monday April 15th : First Anniversary Mass for Former Chairman and Founding Member of Millstreet Vintage Club Johnny Hickey in St Patricks Church, Millstreet at 7pm. 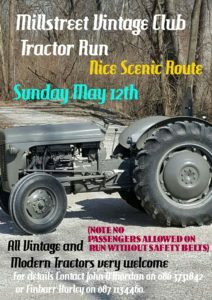 Sunday May 12th : Millstreet Vintage Club Tractor Run,for more Details Contact John O`Riordan on 086 3731842 or Finbarr Hurley on 087 1134460. 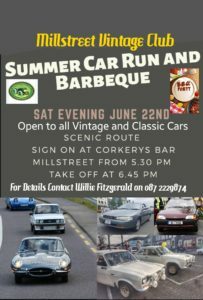 Saturday Evening June 22nd : Millstreet Vintage Club Annual BBQ Run,Contact Willie Fitzgerald on 087 2229874 for more Details. 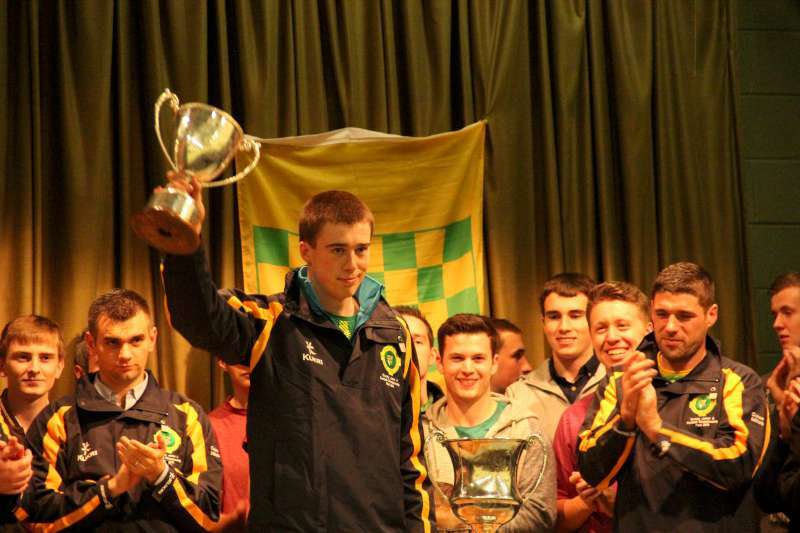 Sunday June 30th : Circuit of Ireland Stages Run Revisited Contact Donie Lucey on 086 8545873 for more Details. 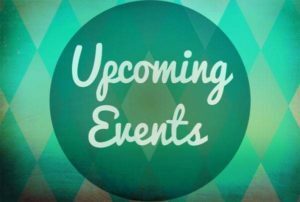 Beyond this period plenty other Events are happening in the Club including 2 more Tractor Runs and 2 more Car Run and a Truck Run as well. 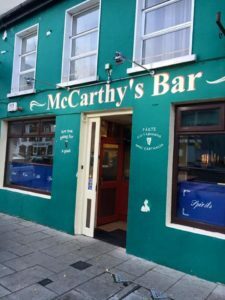 A Great Night was had at the Millstreet Vintage Club Charity Pub Quiz held in McCarthys Bar Millstreet on Friday Night last,there was a great Turnout and the Club wishes to thank everyone who took part and as a result Local Charities will benefit from the proceeds made on the Night,the Club would like to thank Joanne in McCarthys Bar for providing a great Venue,Denis Cremin for being a fantastic Quiz Master,Noreen Meade for checking the Answers and keeping the Scoring updated and Denis Lane for the use of his Amplification Equipment and to Sean Radley for coming along to take some Photos,also many thanks to the people who donated Spot Prizes for the Draw held as well, Congratulations to the Winning Team and to the people that won Spot Prizes on the Night also.